The stress and sorrow of losing a loved one is never easy -- especially for children. 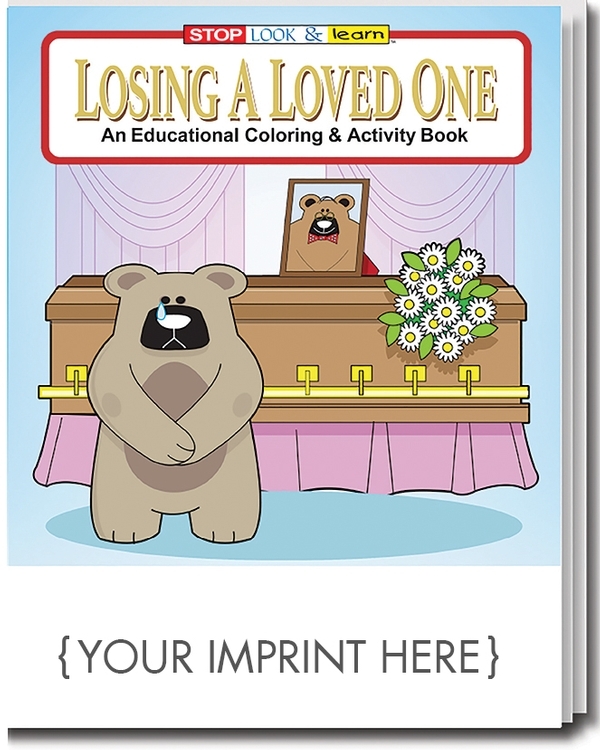 The new Losing A Loved One coloirng book helps them to understand what has happened and that it is OK to be sad. With lessons throughout, this book has 16 pages of coloring and activities. Recommended for children ages 3 and up. Ideal product for funeral homes, mortuaries, churches and more.